This is the latest in a long running series and the story for me appeared formulaic. A difficult juggling act for the author who wants to give long running fans what they want but perhaps at the expense of any real surprises. This reminds me of the late great Robert b Parker, his dialogue was always sublime but whose plotting could sometimes appear perfunctory. 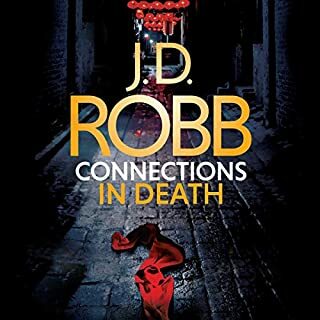 I keep reading though which is perhaps the point but I really do wish that J D Robb would shake things up a bit. Starts well but gets bogged down in the final quarter.Should perhaps have followed the title and stuck to three. 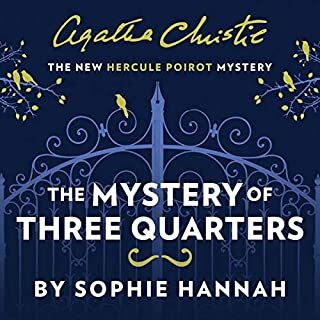 Sophie Hannah has captured the character of Point well but not surprisingly cannot match Agatha Christie's genius for lateral plotting. A year after becoming sheriff, Quinn Colson is faced with the release of an infamous murderer from prison. Jamey Dixon comes back to Jericho preaching redemption, and some believe him; but for the victim’s family, the only thought is revenge. Another group who doesn’t believe him - the men in prison from Dixon’s last job, an armored car robbery. They’re sure he’s gone back to grab the hidden money, so they do the only thing they can: break out and head straight to Jericho themselves. Colson and his deputy, Lillie, know they’ve got their work cut out for them. 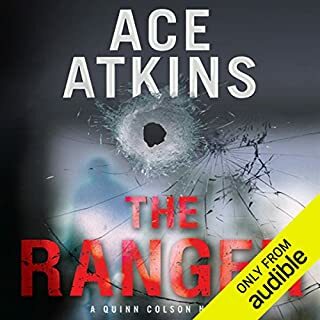 Fresh from 10 years as a U.S. Army Ranger, Quinn Colson finds his hands full as the newly elected sheriff of Tibbehah County, Mississippi. An old buddy running a local gun shop may be in over his head when stolen army rifles start showing up in the hands of a Mexican drug gang. 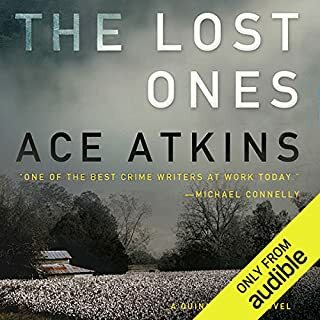 At the same time, an abused-child case leads Quinn and his deputy, Lillie Virgil, deep into the heart of a bootleg baby racket and a trail of darkness and death. When the cases collide, Quinn and his allies realize they are in the fight of their lives. Great dialogue and characterization. 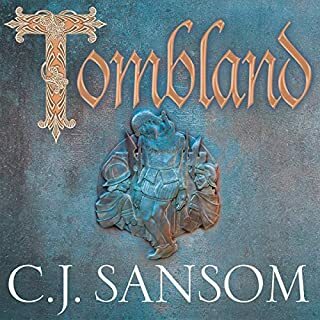 A compelling plot and all within a truthful rendering of storytelling that doesn't stretch credibility.You can't ask for much more than that.If you do you're just plain greedy! The American South has a new and distinct voice. A brilliantly realised sense of place and community. And a tip of the hat to the old school laconic heroes of the past. Entertaining as all hell . Read this! 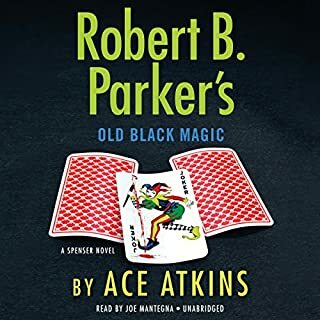 Up to the standard of previous Ace Atkins continuations.Which is to say, superbly plotted with Parker like trademark dialogue. Always look forward to the next. Joe Mantegna's delivery compliments this superbly making for top class literary entertainment. 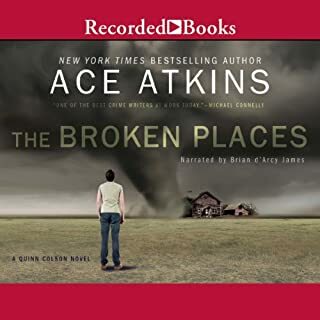 Heresy - But Ace Atkins dialogue matches Parker And plotting actually surpasses. Fantastically entertaining . 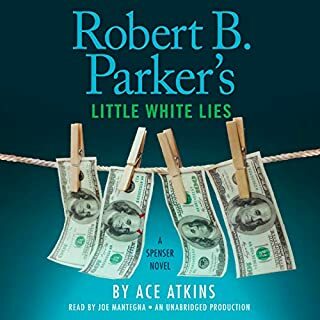 Popular Literature doesn't get any better than this.I didn't think anyone could do justice to Robert B Parker's legacy.I was never happier to be proved wrong.Keep them coming!Please!